Spring is in the air all across the District: The cherry blossoms are approaching peak bloom, popular brunch spots have dusted off their patio furniture and the pandas at the National Zoo are looking to make little panda cubs. 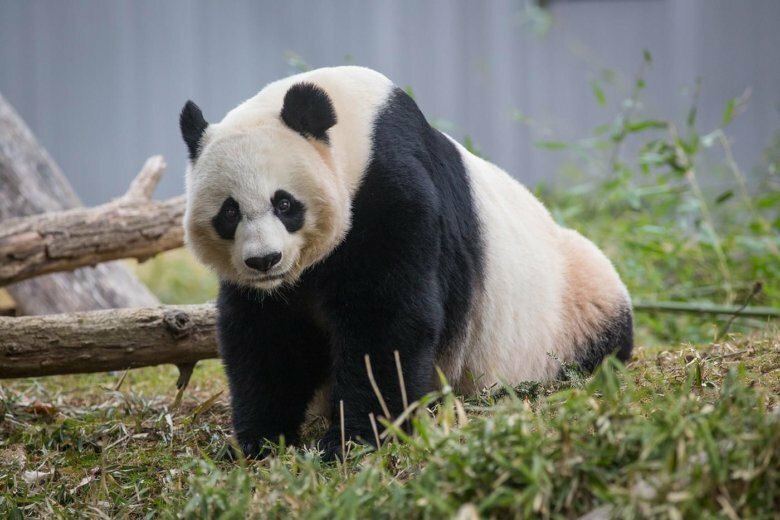 Zookeepers have observed Mei Xiang in estrus, which is marked by increased estrogen levels, more physical activity, scent-marking of her territory and frequent vocalization, signaling she’s in the market for a boo. She’s also been playing around in a bubble path that the zoo provides for the animal’s entertainment. Tian Tian, the zoo’s resident male giant panda, has come a-callin’ as well, showing clear signs of interest in the female panda. At the moment though, it doesn’t look like Mei Xiang is quite ready to make the commitment. “Although Tian Tian is very interested in Mei Xiang, she has made it clear with her vocalizations that she is not ready to breed,” the zoo said in a news release. Giant panda breeding windows are very short, and usually only last 24-72 hours. In the past, the zoo has tried to get the pairs to breed naturally but haven’t had any success. Still they’re giving it a shot once more, and keepers say Tian Tian is doing his best not to let Mei Xiang out of his sight.